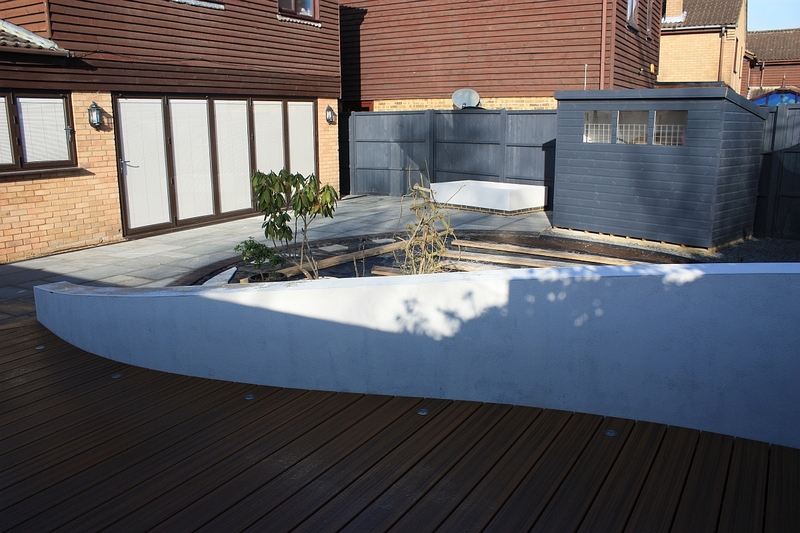 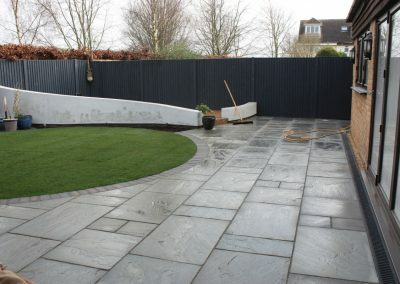 A garden that would be practical and contemporary in design that matched the design style within their home. 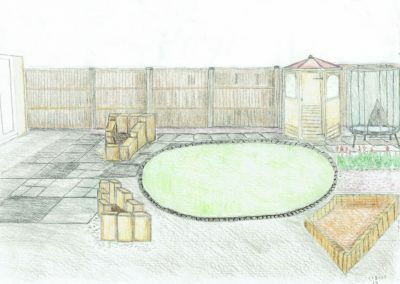 I was asked to create a space for entertaining friends and family and to come up with a functional design for an outdoor tortoise enclosure. 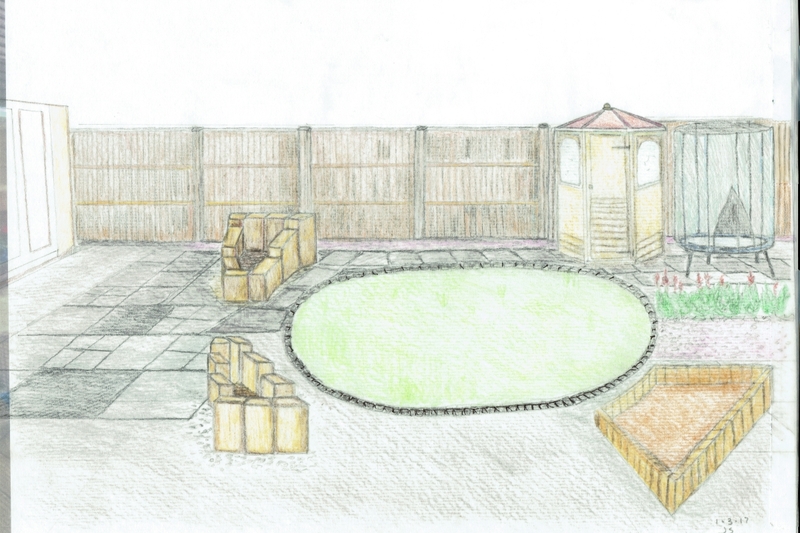 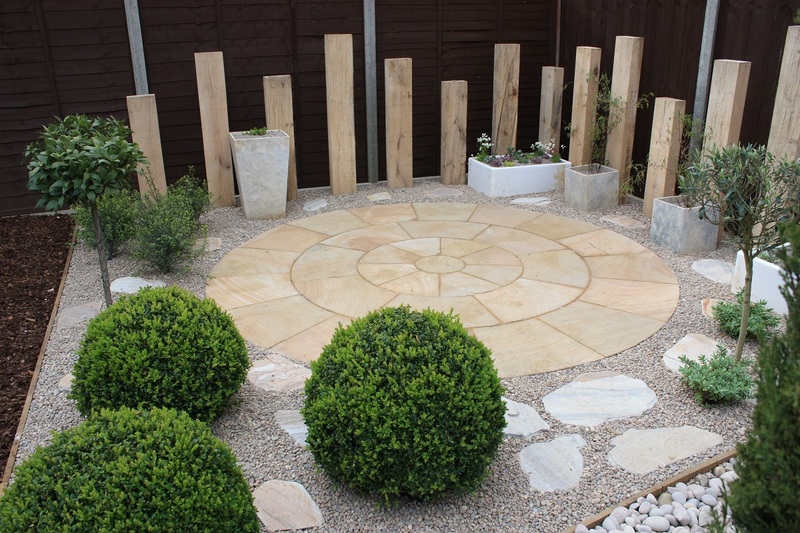 For this wide garden I played with using circles whilst sketching out initial ideas and created a circular lawn as this shape softens the garden by breaking up the width, allowing for key elements to be placed around it. 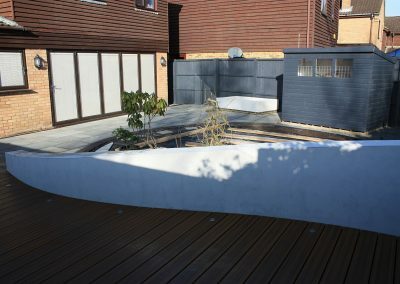 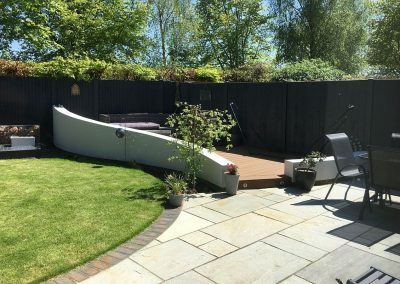 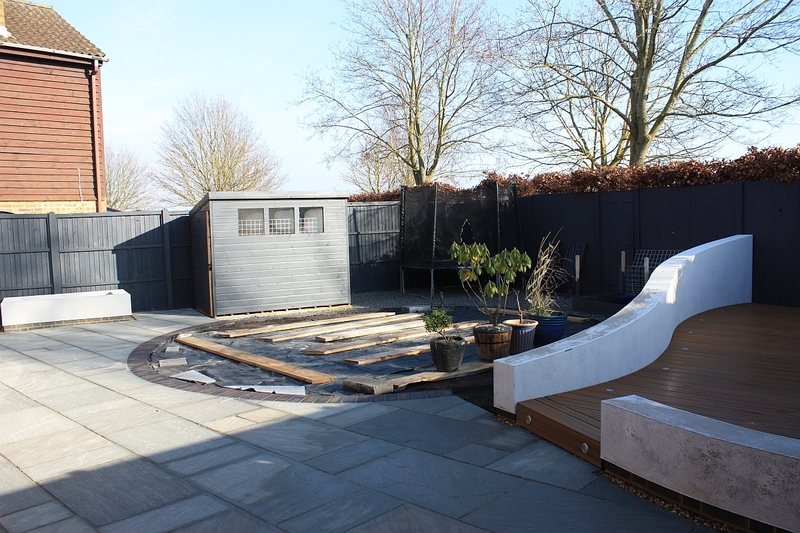 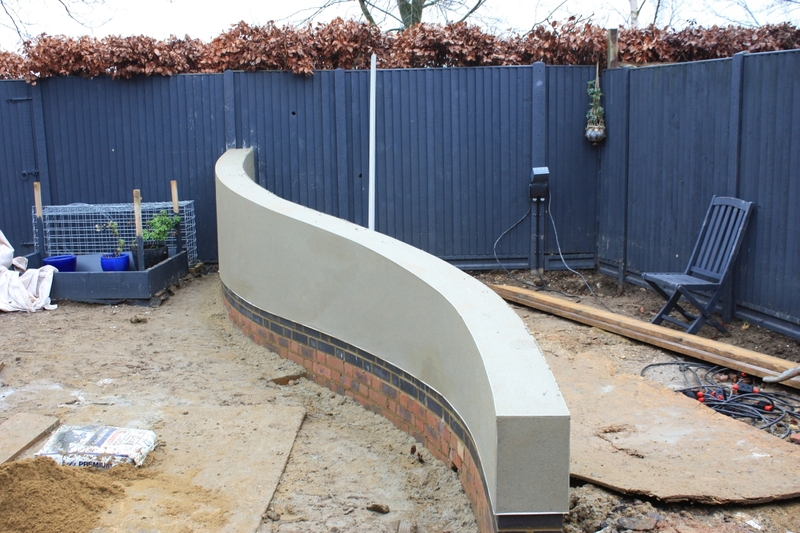 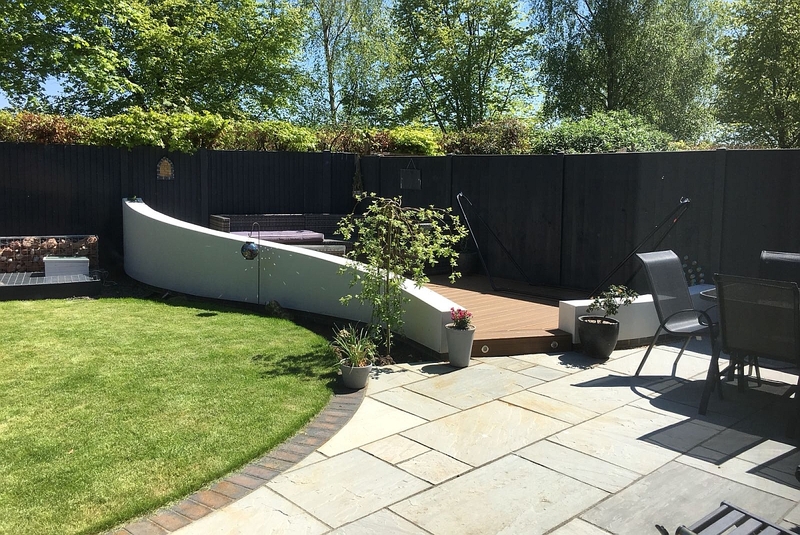 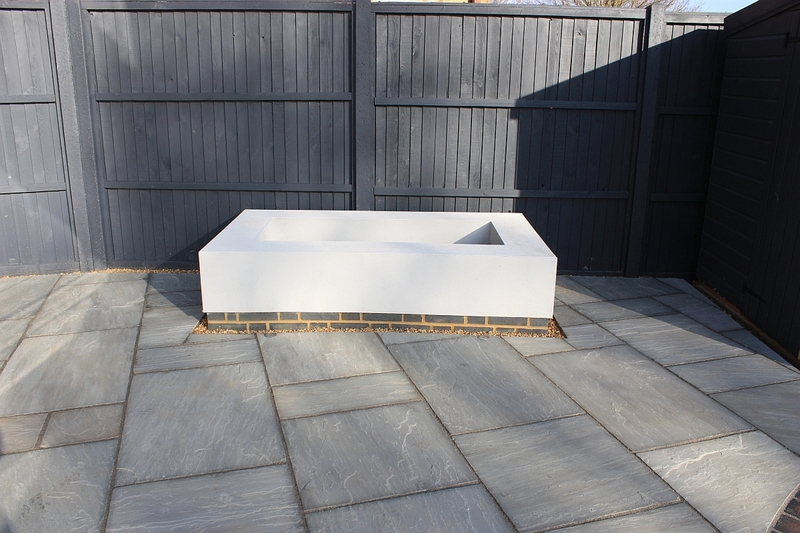 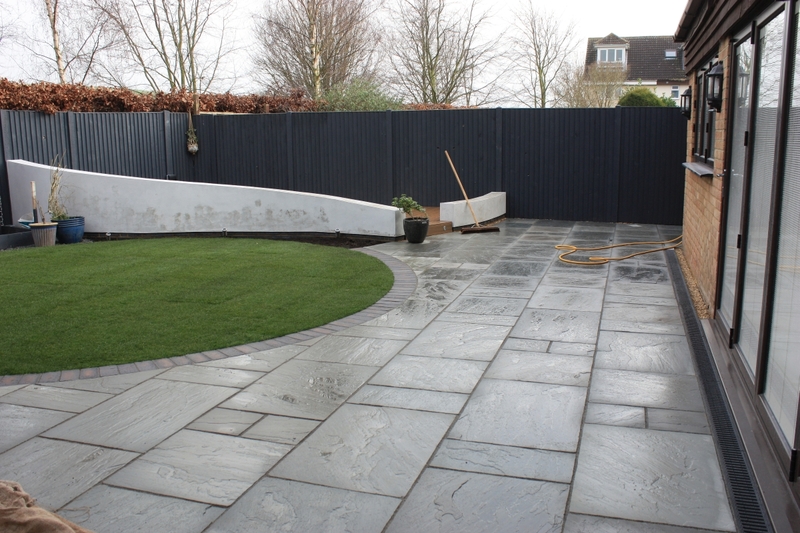 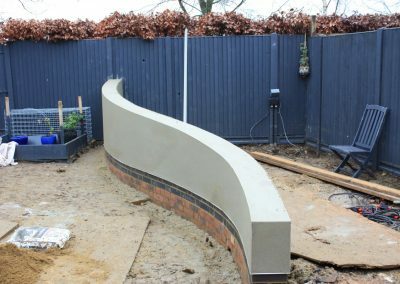 We discussed at length the colours of the boundary, patio and shed and my clients’ love of grey was embedded in the colour palette chosen for the garden. 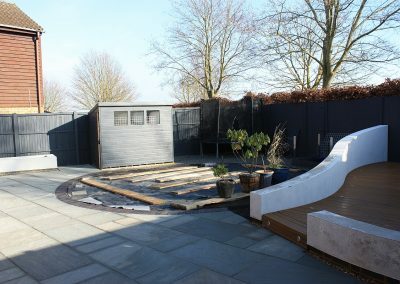 I have selected an array of plants to be container grown with contrasting colours, texture and form to bring some beauty and drama around the garden. 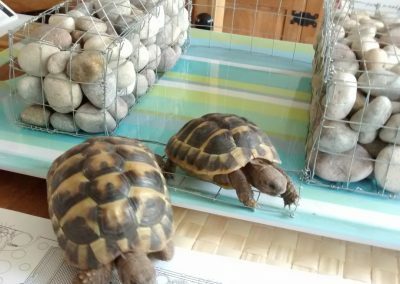 A gabion evolved from seating to become a backdrop to the tortoise enclosure, filled with rocks and planted with succulents.